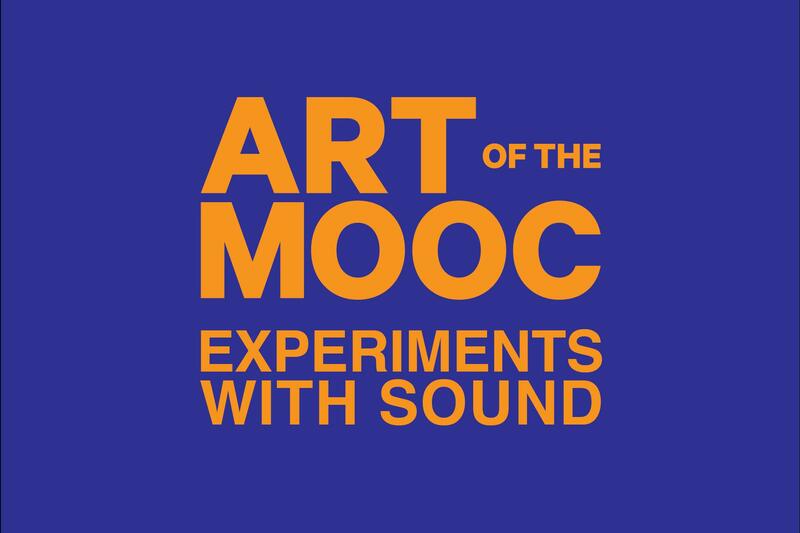 Join co-teachers Pedro Lasch and Jace Clayton/DJ Rupture (UNC-Duke Keohane Professor) for a presentation and global launch of ART of MOOC: Experiments with Sound. This third course in the ART of the MOOC series is a collaboration between Duke and UdK (University of the Arts) in Berlin. The series was launched with Creative Time in New York in 2015 and has over 22,000 enrolled participants in 134 countries. Students of this last course may try their hand at their own sound interventions and musical compositions, or simply focus on learning more about diverse musical traditions, sonic experimentation, and acoustic phenomena in everyday life. Designed by artist and Duke professor, Pedro Lasch, and UdK composer Mathias Hinke, the course is also co-taught by scholar and musician Jace Clayton (DJ Rupture) and curator Candice Hopkins (Documenta 14). The lectures link major artistic developments of recent decades to wider ideas about sound in specific social and spatial contexts. Also included are guest presentations from key thinkers and practitioners, like: Christopher DeLaurenti, Jen Delos Reyes, Tina Haver Currin, Quran Karriem, Christina Kubisch, Scott Lindroth, Mark Anthony Neal, Bill Seaman, and John Supko. As the 'ART of the MOOC' title implies, learners and participants are encouraged to treat the MOOC itself as a public art medium. This happens mostly through the course's optional practical components, local project productions, global exchanges, and critical feedback.